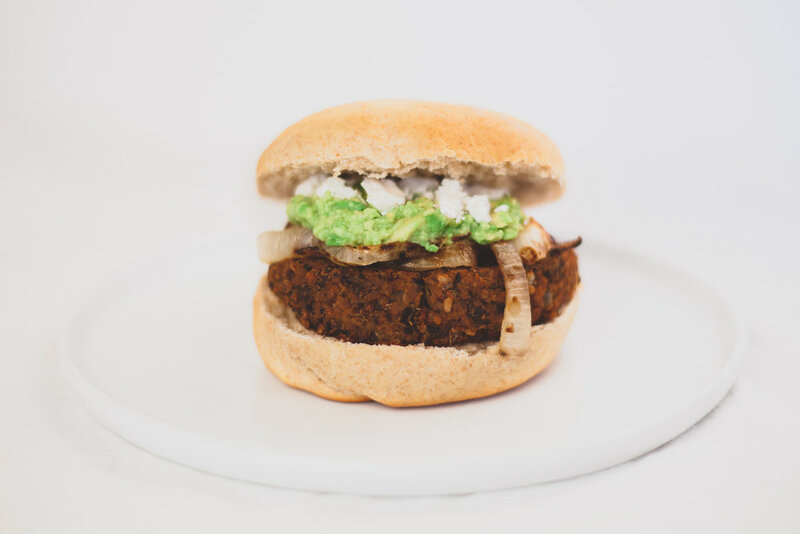 Sweet Potato, Black Bean, Quinoa Burgers is more like it. Don't get me wrong, I truly love a good beef burger. However, good quality, organic beef is expensive, and I think we should all be including more sustainable, plant-based meals into our diet. So, I created this veggie burger. Packed with fiber, protein, and healthy fats, these have a lot more to offer your body than a beef burger. You just have to think of them a little differently. They are a whole different category of food, and a whole different type of delicious. The recipe is a little time consuming, about 1.5 hours, but it makes a lot and the burgers store super well in the fridge or freezer. It's totally worth your time when you have super quick lunches and dinners for days to come. These can be eaten on a bed of arugula or lettuce, on a piece of bread, or just plain with a variety of toppings (see some ideas below). Preheat the oven to 400. Place the sweet potatoes in the oven whole, and bake them for 40 minutes. While the sweet potatoes are baking, cook the quinoa. Rinse the black beans in warm water, and mash them in a large bowl. Chop the mushrooms and onion, grate the zucchini, blend the walnuts, and add to the black beans. Add the cooked quinoa, cumin, paprika, salt, and pepper. Once the sweet potatoes are soft, scrape out the inside into the bowl with the other ingredients. Mix and mash until it's all well combined. Form the mixture into patties, and place on a large, greased baking sheet. Bake until the patties are firm, about 40 minutes. 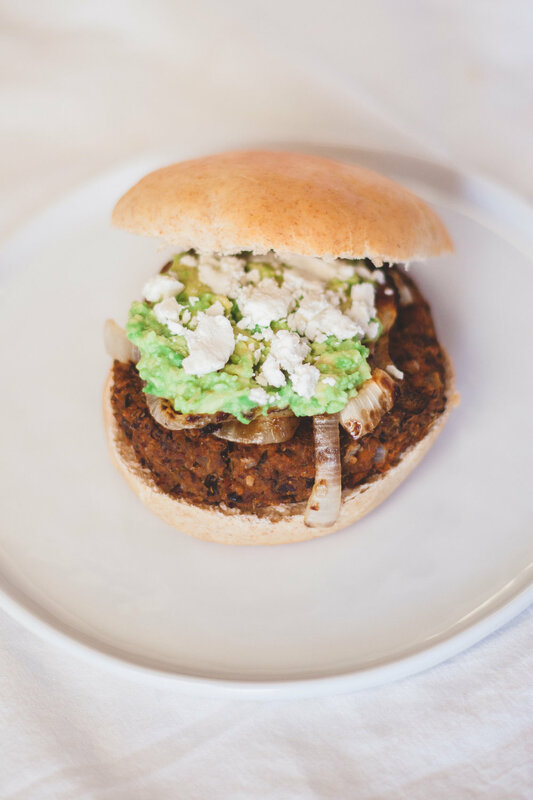 Serve on a salad base, on a bun, or just plain with grilled onions, avocado, hummus, goat cheese, or a sauce of your choice.